I had the van taken to Prestige by recomendation from Brian Young. Just picked it up. 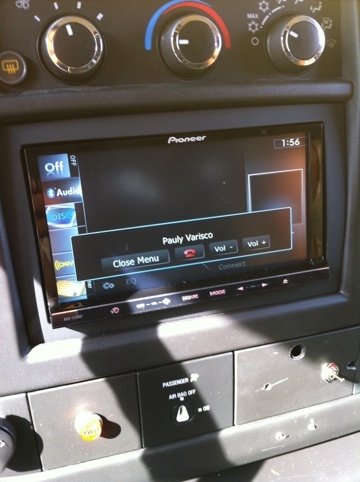 Prestige put a screen in the dash where I have XM radio and can run music (iPod, pandora, rhapsody) via bluetooth and video from my phone or iPad via AV hardline. Also, using bluetooth we can make calls hands free. So far the van has been all that I expected and more. I am excited to get rolling. This entry was posted on May 12, 2011 by STEVE GLEASON. It was filed under Toolbox .